Coles Road Transportation Services Offers Towing & Roadside Services You Can Count On! Welcome to locally owned and operated Coles Road Transportation Services. 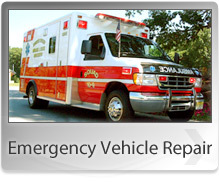 We have provided assistance to motorists in the Blackwood, NJ area since 1980. We help our customers with a wide array of services that include Emergency Roadside Assistance and Towing & Recovery. Our goal is to offer the best services available at affordable prices to get you back on the road in no time. Our commitment to customer satisfaction is what makes Coles Road Transportation Services the #1 choice to meet your towing needs. Building a positive relationship with each customer is absolutely essential to our current and future success; one unhappy customer is simply not acceptable. We understand that our customers have chosen to rely on us because they know they can count on Coles Road Transportation Services for all of their towing needs - we won't let you down. We will tow your vehicle in the following cities and locations: Berlin 08009, Blackwood/Turnersville/Washington Township 08012, Lindenwold/Clementon/Pine Hill/Laurel Springs 08021, Gibbsboro 08026, Glassboro 08028, Glendora 08029, Bellmawr 08031, Grenloch 08032, Voorhees 08043, Magnolia 08049, Pitman 08071, Runnemede 08078, Sewell/Washington Township 08080, Sicklerville/Erial 08081, Somerdale 08083, Stratford 08084, Wenonah 08090, West Berlin 08091, Deptford/Woodbury/West Deptford 08096, Woodbury Heights 08097 & Williamstown 08094.